6 Things I’m (Still) Not Ready For. 1. Frequent trips to the Post Office. If you ever wake up and spend the first five minutes of your coming-to-consciousness trying to figure out when you can slip in a quick trip to the Post Office – then you have grown up. There’s no hope for you, it’s done. 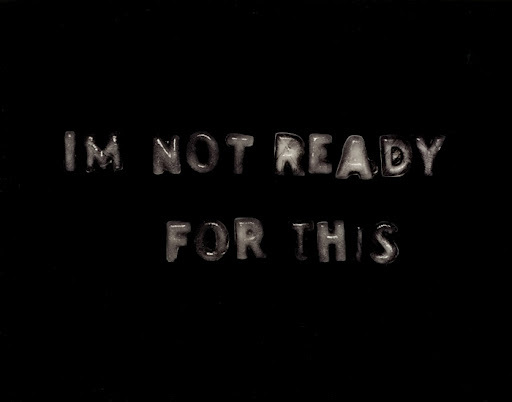 And I’m just not ready for it, quite yet. I know, I know, I’m turning 24 in ten days, but I still can’t see how a trip to the Post Office will become a necessity – although I’m sure banks, insurance companies, and government billing offices feel differently. I’d rather spend the time browsing the bookshelves of a second-hand bookstore, baking muffins, or feeding the ducks at Zoo Lake. I do what I want. 2. Letting go of the belief that I’m still a Party Animal. My mum frequently voices her concern as to how early I launched into the World of night-clubs and all-nighters – but even more concerning to her, is how long I’ve managed to keep it up! I mean, I’m going on a good ten years here! And I’m STILL not done! She believes any self-respecting adult (yuck) gets over these urges, but call it FOMO or a quarter-life-crisis, whatever the reason, 48-hour long trance parties have never seemed more appealing! 3. Marriage. Or being alone forever. Actually, both. 4. Getting a ‘real’ job. You know, I’ve always been really quite fine with the notion of a pay check. Receiving money once a month, which see’s you live out your days for the following month, splitting up the cash between bills, bars and any other pursuits that might need a little cash thrown in their direction. However, I don’t know how I feel about the working bit that leads to the reception of this pay check. Don’t get me wrong, I’ve never be adverse to hard work. I’m extremely diligent, and I am a perfectionist who will dedicate time, effort and care to everything. However, the idea of launching myself into a job for an extended period of time is somewhat daunting. Adults work, everyday, five days a week, from 8 ’til 5. And all I keep thinking is when will I find the time to play?? Need I even explain this one? Is your mind not, too, filled with images of old folk brushing what’s left of the four or five teeth in their swollen, offishly-pink gums in an effort to not suffer from the “extreme” temperatures of their predominantly liquified food?! Yikes. 6. To be apart of the Next Generation. On the occasion of the death of my Grandmother, nearly two years ago, I remember thinking “that’s it.” She was the last of my grandparents to pass away, and that meant my parents, aunts and uncles were the next generation up for that looming era of “old age” – however near or far it may be. Well, I’ve realised I’m not ready. I’m not prepared for my parents to go – not in any way close. And I know it sounds stupid, but I’m not prepared to have had 18-years less with them than my 18-years older brother. I remember watching my father write out the eulogy he was to say for his father’s death, and feeling this overwhelming sense of dispair at the thought that I, too, will have this experience in my future. I’m not ready to open myself up to the thought that my parents just might not live forever.